Quick assessments of the dealership give you the power to make better decisions more easily. 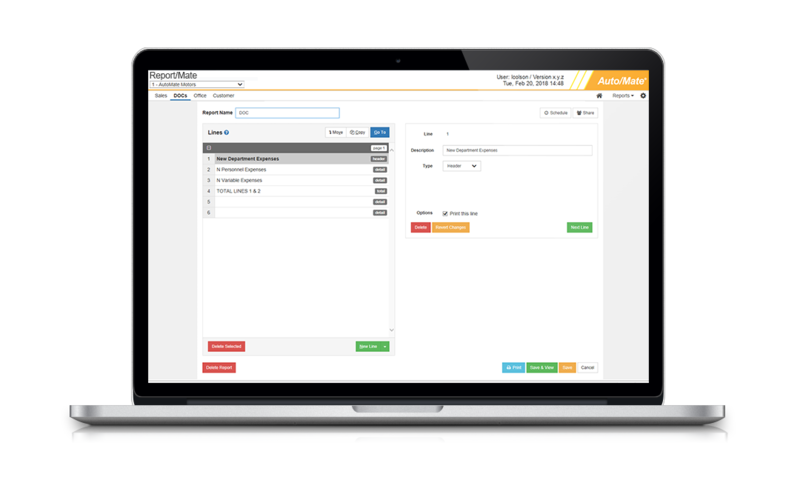 Report/Mate™ offers sales and accounting departments the ability to create detailed reports and track items such as sales, inventories, G/Ls, trends, profit and expenses. 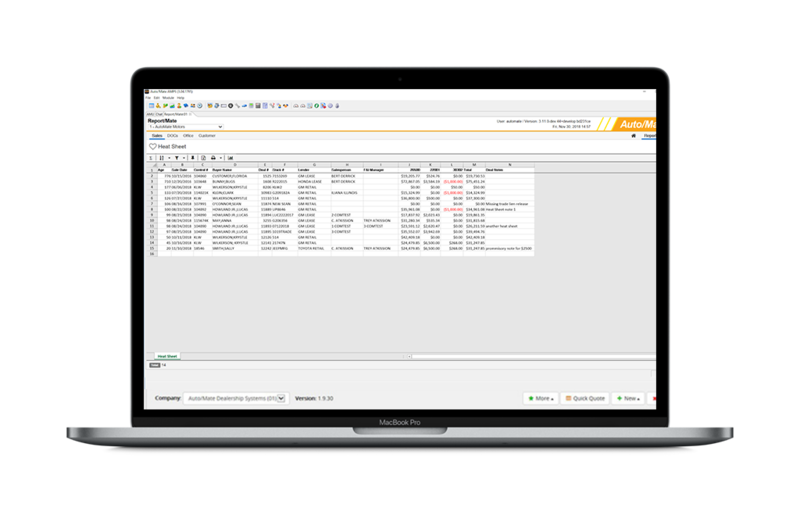 Measure performance, set achievable goals and increase efficiency and reliability by generating customizable reports that you can schedule to run automatically. 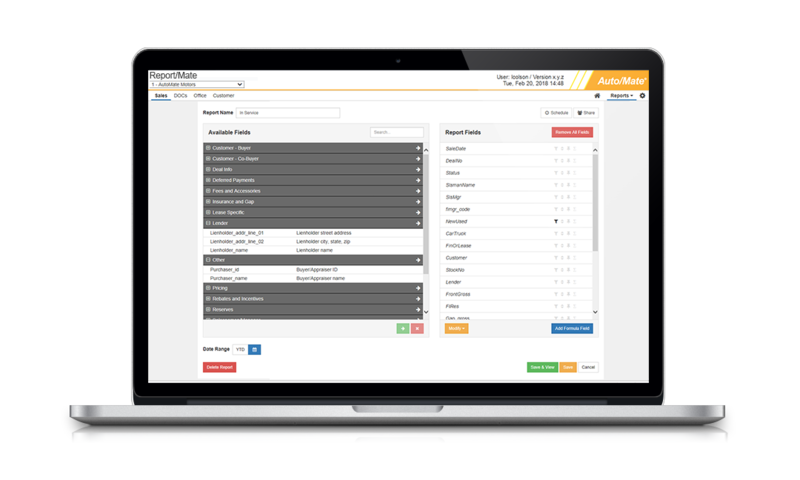 These advanced report generators bring the ease of Excel® to DMS reporting. Accounting reports can be customized and generated around the criteria that’s important to your dealership. View your floor plan or transaction audit log reports, as well as any other custom transaction report in one convenient location. Sensitive fields like SSN have extra security so only designated employees can see them. DOC pages can be shared individually so department managers only see the necessary information. Because the data is pulled from one source in real time, our accounting reporting is more accurate and reliable than ever. 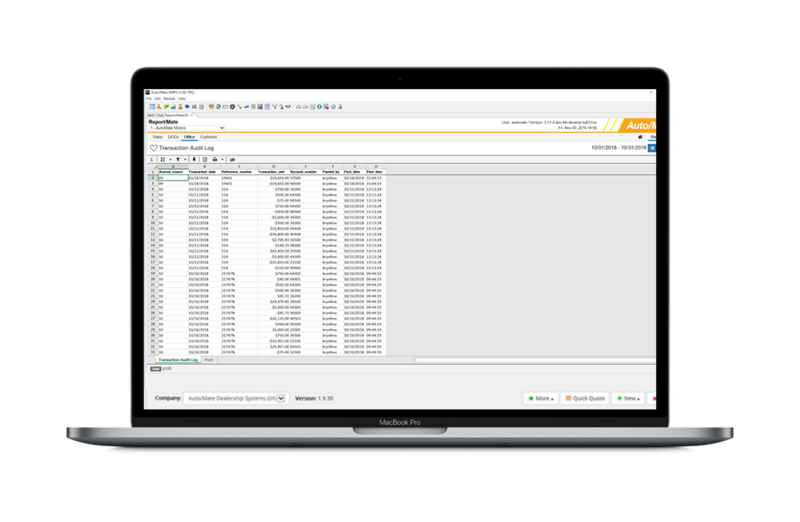 Report/Mate™ brings your data from each department into one tool. Any report can be automatically delivered to your inbox on a set schedule. We’ve conveniently created featured reports for each department that provide insight into a particular area of your dealership. Featured reports include a classic sales report, the Lease Maturity Report and the Heat Sheet, which shows sold and closed deals with outstanding accounting balances or other missing paperwork.